Will you be in Miami this fall? If so, you’re in luck! While spring and summer are popular times to visit Miami, the city offers tons of spectacular events during the fall. From film and food festivals to art and music events, check out the top 5 fall events in Miami from Hussain al Nowais. bassX – While the Bass Museum of Art is closed for internal expansion, the museum is presenting bassX, a series of solo artist projects, exhibitions, education programs and events. From October 13 to November 15, the work of famed sculptor Rachel Harrison will be on display at the Miami Beach Library across from the museum. Harrison is well-known for her colorful and witty artwork that addresses the conventions of art and mass culture. Italian Film Festival – On October 8 to 13, you can enjoy the best short films and documentaries from Cinema Italia at the Italian Film Festival. The Italian Film Festival has been promoting Italian culture through cinema and art since 2002. The Delano will be the official hotel of the festival and host the Opening Night Party on October 8, while Bianca – one of the top rated Italian restaurants in Miami – will serve as the backdrop of the private Closing Dinner and Award Ceremony on the 13th. The Regal Cinema in South Beach will screen the best 10 films of 2014-2015 in competition for the Best Film Award. Backyard Bash – On October 10, the South Miami-Dade Cultural Arts Center is kicking off their 2015-2016 season with a free Backyard Bash. On the center’s Concert Lawn you can experience sounds of swing and New Orleans jazz from featured acts, including Big Bad Voodoo Daddy, Hot 8 Brass Band, Aaron Lebos and DJ Le Spam. Food and drinks will be available at the event for purchase. 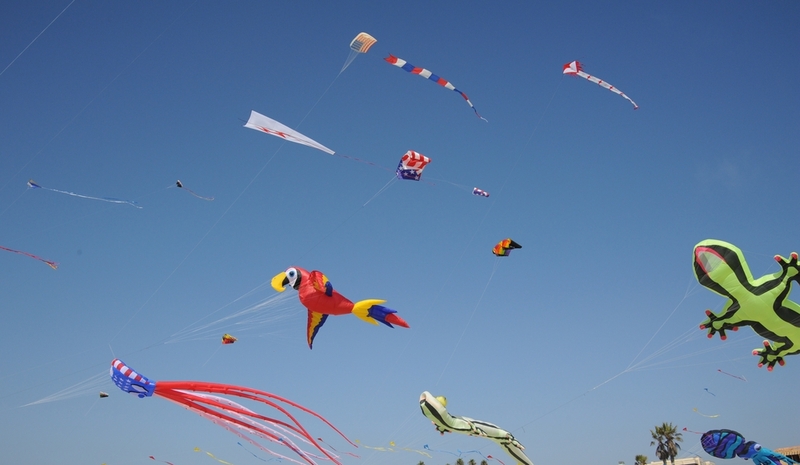 Kitober Festival – Hosted by Miami-Dade Parks and Skyward Parks, the 22nd Annual Kitober Festival will be held on October 18 at Houlover Park and provide excitement for the whole family. The sky over Miami Beach will be filled with a wide range of colors and figures. You can participate by purchasing or making your own kite or simply come by to enjoy the view with live music and great food. Hess Wines South Beach Seafood Festival – Calling all seafood lovers – celebrate Miami’s wonderful seafood and the kickoff of stone crab season at the Hess Wines South Beach Seafood Festival on October 21 to 24. The festival will feature season selections from celebrity chefs, as well as live music, culinary and mixology demonstrations, a kids’ zone, a health village and VIP hospitality benefits. Ticket prices start at $25 per person and vary depending on the event. Which fall event are you most looking forward to attending?